Welcome to Investing for Beginners podcast this is episode 64. Tonight we’re going to conclude our series on personal finance, this is episode 105 of our little series here. Andrew’s going to start us off we’re going to talk a little bit of passive income so Andrew go ahead and take it away. Andrew: so I really wanted to talk about this because I feel like a discussion on personal finance isn’t complete especially in my own situation if we don’t talk about creating passive income. By far creating a passive income stream has been the most if not influential is not the right word but it has had the greatest impact on my own trajectory my own path to financial freedom and that’s something that we definitely need to cover because I think it can be that way for a lot of people too if they’re willing to put in the work. I understand like I have a very entrepreneurial mindset kind of like a workaholic type a type person so I understand that maybe this episode isn’t going to apply for everyone and that’s fine and if that’s the case for you and you want to just focus on the investing side and that’s 100% okay and we’ll get back to it like we normally do. However we are talking about personal finance I am super passionate about creating passive income and when you’re doing investing, in general, you create a passive income that should be the goal with dividends and so obviously you need money to make money you can start small like we always talk about you grow that little income stream from dividends and your growth over time you reinvest it continues to get larger and larger and larger. If you couldn’t add this element of passive income whether that’s picking up a side hustle, getting a second job where at whatever that entails that can also compound for you over the long term. Because now obviously you’re getting free money that you can invest for example if you have all your bills set up you have your budget set up like we talked about in the previous personal finance episode. Then you could have a side hustle or a second job where all that money can go straight to your investments and it can really grow at a much-accelerated rate. And so the thing the things that I like about passive income and this is going to be something where I guess if you’re doing like a second job it doesn’t necessarily apply. And I don’t want to speak to like every single type of passive income you could create because if that’s something you’re interested in I highly recommend Pat Flynn Smart Passive Income podcast. But I think there are some things I’ve seen success with that I believe both Dave and I can shed some light on today experiences is often the best teacher and I still believe like the way I found success is something that’s very early in the game so to say and there’s a lot of opportunity for people to kind of pick up that torch and continue with on. And that might be kind of a stupid thing for me to say because I’m creating competitors as I say it but I’ve had like Porter Stanberry for example. He’s he has a podcast and I remember something he said that really stood out to me was the idea that the thing with investing I mean you can only create and I want to put words in his mouth. But the way the way I kind of took out of it was you can only create so much from whatever capital you have so even if we were to say we’re the best investor in the world right let’s say you’re Warren Buffett and you’re able to compound it like an insane twenty-two percent a year or something like that. If you’re broke is a joke and you’ve got five dollars to your name compounding of twenty-two percent a year isn’t going to make you a millionaire so I can make you a billionaire it won’t even probably be hard enough to pay for like a car or a college education or something like that. So you need money to make money that’s one of the things about investing that a lot of people should realize. I know a lot of people come to investing I certainly did because you want to create money out of nothing, however, that’s realistically not going to happen so that’s why we created this series that’s why we talk about the importance of making that budget the importance of doing things like dollar cost averaging. It’s something we try to stress it over and over again this is going to take a lot of time you got to let compound interest work it’s magic and we’ve talked about over and over again how some really great things can happen from small amounts over a long period of time. The other element of investing that makes it personally it excites me a lot because for example if I have my brand of value investing my way of teaching investing and I can reach so many more people or I can recommend a certain amount of stocks and so I’m able to create wealth at a much larger scale without having to be personally invested in it myself. And so that’s where I think the investing world, in general, is just super cool because I’m able to create a passive income by making other people wealthy and it has like this butterfly kind of compound effect. I guess I’m always all about compound interests all everywhere that you look and it really applies in a lot of ways and like Dave for example. he was actually somebody who just read my blog and then we kind of got connected and now so we’re doing this podcast together and so I know and we’ve had like Braden Dennis and he was a listener of the podcast he’s been on the podcast a couple of times and so this is what I talk about when I say well maybe I’m making competitors but really I see it as making business partners. And so why I say that passive income is but as possible is because I’ve literally seen it I’ve seen Dave create passive income I’m seeing Braden building his own hot side hustle as the potential for passive income and they’re doing the same thing I’m doing. They’re teaching the average investor how to invest and so I think it’s super cool I think people can take that same like the same structure of what I’ve been able to do what Dave’s been able to do I believe they could take that to anything else that they are passionate in their life and like I said I think that were really just on the very beginning like it’s like the very beginning of like the gold rush in a sense. There are so many people now there’s a new generation growing up that’s entrenched with the internet that wasn’t there before and so there’s a lot of potentials still it’s very much like the wild, wild west and so there is a way I believe that a lot of people can make passive income and make money for you while you sleep and that can that can happen in two ways and they can happen through your investing and it can also happen if you’re able to put in the work to build a side hustle or create passive income in other ways. And we can talk about the generalities of it and also maybe a couple specific techniques that people can use and who knows maybe they’d find that helpful and they’ll be able to create an income that way. Dave: yeah that’s awesome he’s absolutely right I came across Andrews blog from a recommendation from another site and how I got started was reading a blog of an Andrew about creating passive income and he suggested kind of doing kind of what I’m doing. Start your own blog start talking about things that you’re passionate about and interested in about and I have a lot of things that I’m very passionate about music being one wine being another history particular Roman history and investing. And it just kind of struck me at that time it just gave me the incentive to start and it’s scary the first time I started the blog and I wrote my first post and put it out there and of course, you got crickets. So there’s nothing no buddies know who are and you’re just I know how many hundreds of millions of blog posts are posted a day it’s kind of an incredible. But I took the step of I noticed on Andrew’s site that he at the time accepted guest contributors and I took the chance of reaching out to him and I had read his blog a whole bunch and I noticed that there was something that he had never really talked about and I thought well I’ll reach out to him and see if he’d be open to me writing a post for him called a guest post. And he was and shocked the hell out of me that hey somebody that I looked up to was actually writing me back and so ice about the post took me about a week and I wrote it to him and I sent it to him and he really liked it and he put it on a site and kind of went from there. and then all of a sudden I’m getting emails from Andrew asking me if I want to start a podcast together and at first I heard the first time I got the email from him asking me to do this I literally sat there looking at it going he just what he’s writing to me to ask me to do this. And anyway the whole point of all this is that you may sit out there and think that you don’t have any special skill or there isn’t anything that you could do to earn more money than what you’re earning right now to help you invest or to do whatever things that it is you want to do and I’m here to tell you can. You may not make billions but even if you make an extra 200 bucks a month by doing something you enjoy a hobby whatever that may be. I’m a guitar player I went to school got a degree in music and there’s a gazillion different ways you could go with that ear training sight-reading could guitar players aren’t totally bad sight readers which means that if you put a sheet of music in front of them they may be the loudest person in the room but you put that in music in front of and also the guitar goes really quiet. Because they’re not sure of what there is so there’s lots of it opportunities out there just in that realm alone and whatever skill or whatever passion it is you have there is a niche for you and whether it’s podcasting or blogging or just going out there and meeting people. Befriending people out on the street and helping them shovel their sidewalks you live in the Midwest like I do you need that and somebody came to my door and said hey up I offered to do this for you for five bucks here you go 5 bucks have at it I wouldn’t even hesitate you do that at 10 places that’s 50 bucks yes your back may hurt a little bit at first but you’ll get in shape. There’s just a million different ways that you can go out there and make extra money and a lot of times we think we don’t have the time to do it because we work 40 hours a week we have family we have kids and yes I have all those things too so does Andrew. But you find the time for something that’s important to you and if that means you watch a little bit of less TV at night or you don’t go out with the boys one extra night a week however whatever that may be there’s all kinds of different ways you can go with this. And there are opportunities out there if you want them and it doesn’t have to just be in finance and if it isn’t finance Andrew and I are here to help you. Because as we both have talked about on air and off air there’s kind of a in Andrew I think really kind of speaks to this there’s a feeling of abundance there that’s kind of where he comes from a place of abundance. There is more than enough out there for us to go around there’s so much to talk about there’s so much opportunity to help people and there’s so many people out there that we haven’t touched that we want to help. And there’s just a lot of opportunity out there and I think there’s a lot of different ways of places we could go with this. 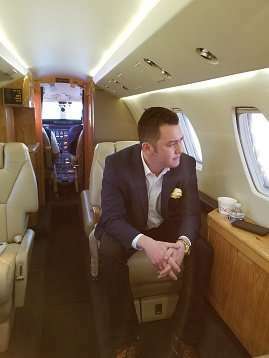 Andrew: yeah a hundred percent and that’s kind of why I said and I hope I don’t if I get like an influx of emails and I can’t respond to all of them with all these business ventures or anything don’t take offense. But like Dave said I mean there’s how crazy is it that were able to have this conversation right now over the internet. I’m on vacation right now in California you’re over and Appleton Wisconsin frozen hurry up what’s that the frozen tundra. The frozen tundra even in July apparently but we’re able to reach thousands of people every single week plug in us into their ear buds uh that’s insane and so it’s only something that’s I think it’s only something that’s going to grow. I think you’re seeing that year after year less people watching TV more people are jumping on YouTube and Netflix and podcasts and online with blogs. I’ve personally the way that I’ve kind of changed my life and I don’t want to get too detailed into that but it’s it started like Dave said it wasn’t something where I radically shifted things too much. I tend to yes I tend to get gung-ho about things and so I will focus ton of time and energy on the passion however I remember the biggest habit I built was every Wednesday it because I go in peaks and valleys I think a lot of people do this where you might get you have it with deadlines to like at work where you might have a big deadline you put in a ton of work and then you relax after. But I had this habit that no matter what every Wednesday I was going to write a blog post and so I did that for I don’t know maybe a year or two and it took me a long time of just kind of grinding it out before I got discovered and then from the blog I kind of moved and started writing less and started getting into podcasting. That’s when I went on the money tree podcast and now we’re doing this podcast but it’s always been like they’ve said you can put if you can carve out an hour or two hours of your time even maybe a week and build and build something from scratch and if that’s something that like if the whole creating content like kind of like what we do something that appeals to you then I think that the smart passive income podcast is an excellent place to go for that. Andrew: and it’s just it’s just doing that and doing it long enough I guess I’m giving that time to birth its own life and become something really special and so that’s kind of the way I’ve done it and I think there’s a couple other things to really keep in mind is you want to find like a niche it needs to be specific. You can’t just say well I’m a fitness person okay cool there’s a million others but are you may be like they Dave’s example is perfect are you a guitar player cool there’s a million guitar players but there’s a specific problem of not being able to re-read a sheet that’s what you said right sheet music if you can solve that one particular need there’s so many people out there and there’s so much abundance is a great word for that – there’s so much abundance and so much affluence that there’s people a lot of people if they have money to buy thousand-dollar guitars then they can probably if they have a burning problem then they’ll be able to give you money to solve it. That’s how you can create really creating passive income is about helping other people solve problems I don’t know who the quotes from but it’s basically if you help people get what they want then you can have whatever you want something like that. I really believe that and it’s kind of always been that way from the start and that’s why when I saw how Dave wrote that’s what really spoke out to me is because I saw immediately that there was this this heart of a teacher it wasn’t self-serving those more like how am I going to help you. And so that’s really the key to creating something that that people will I think it’s in my mind it’s the key to creating something that people will follow and subscribe to and they will get behind your movement and they can start with something as simple as a little weekly habit that just see how that goes for a while and then obviously just like you would with investing you got to find the right knowledge the right resources. Again a big part of why I wanted to start a podcast for investing was because that Smart Passive Income podcast was so game-changing for me and so if you can find the resources that can help you get there and then modify your behavior so you’re building good habits to help you reach that then you can start to really have income that grows it pays you while you’re I mean like right now you could be making money while you’re also working on creating more passive income. So you can see it could just continually compound and then one day you can reach financial freedom even faster and it can give you freedoms like not having to stress out if you have a job where you’re in a company where it gets downsized or not if you happen to be in an abusive work environment where you have an abusive boss or an abusive co-worker and you really don’t want to put up with it but you have to. 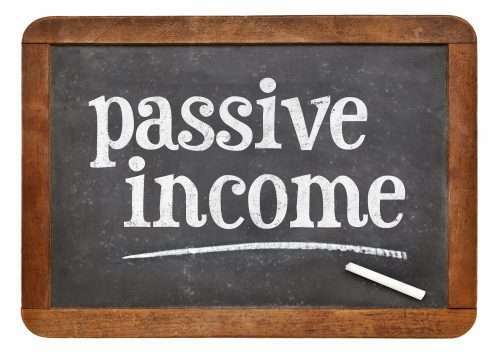 Having passive income can help you avoid feeling tied down to that kind of a situation so can give you freedom in a lot of different ways and I think it can really like I don’t think it’s required I don’t think I think somebody can get financial freedom without creating passive income. I think you can really speed that process up by creating passive income by starting some sort of side hustle by trying to help people and taking maybe that hour of Netflix and using it towards something productive that solves a problem that people want solved and are willing to pay money for. And doing that being patients and grinding it out and having having as a habit. we all we all start when we’re at the starting line of something that that’s new we’re always we’re all going to the hundred ten-speed percent speed but you need to have something that’s sustainable and the habit that you can continue over a long time. How long how long were you blogging Dave until you decided to reach out because by that time I remember you had like that was another thing too if you had reached out and you didn’t have any other writing like a references like well I don’t have enough of approved the post itself I mean so right you had like a body of work that that was already helping people before you before you it’s out to me. Dave: I think it was a body it was about a year yeah yes yeah it was about a year yeah it was about a year I don’t know I don’t remember a specific date that I started as I probably should look that up for me know it but I’ve been I think I think it was about a year it was right before Christmas that I reached out to you so I think it was a November ish that I think if I remember right that I reached out to you and then I think I’ve sent the post to you about that time so yeah it was about then so yeah it had been it had been a little over a year I believe and I’ve been like you I’d been writing a post every single every single week for a month or for a year and it took me a while I said. It was a grind there were weeks or times where I was like working a lot or the family in the work words a lot it was some shorter nights for sleep and stuff but it was a passion so it was I was okay with that and I was okay with going to work a little bit tired the next day because I saw I saw the benefits to it down the road at some point so there was there was a burning desire for me to go from where I was to where I wanted to be. And that motivated me to keep going even when even when it would was tougher when nobody was reading the post sore or whatnot I just I just kept that at it. Because my grandmother has this saying that as always stuck with me she said even water dripping on a stone eventually makes an impression and that’s really kind of how I’ve lived my life is I may not be the most talented or the most eloquent or the smartest person. But I’ve always just kind of stuck at things and just kept grinding away and if you keep trying eventually you’ll find some success. And no matter what it is you’re trying to do whether it’s shooting a basketball learning a new chord on the guitar or writing a blog post whatever it may be there’s always opportunity to keep to keep getting better and to keep improving and I think that’s one of the things that keeps me so excited about life in general and investing in particular. That just seems to always appeal to me every time I pick up a book or my phone or go to the library and find a new book or find some new blog or podcast or something it’s always inspiring. And I wanted to throw out a couple other resources that I was thinking about why you were talking was Tim Ferriss 4-hour Workweek is a great book. I actually just finished listening to his the audible version of that a couple days ago it’s fantastic. And another great one is we’ve talked about before as Rich Dad Poor Dad both of those are fantastic books that if you’re interested in some sort of passive income side hustle kind of thing those are great resources to go to the Rich Dad Poor Dad is not a long book but it’s very interesting and he has a lot of great ideas and it’s very inspiring and a Tim Ferriss book is fantastic as well and he has a great podcast also a very smart guy very intelligent. I’ll warn you his book is that he’s a bit of a smartass in the book he’s got some pretty funny quotes in there kept me entertained that was laughing out loud sometimes when I was walking my dogs sure people are like oh what’s he doing. But it was fun but yeah great resources very inspiring lots of great ideas and just because they have a specific niche doesn’t mean you have to do exactly what they’re doing they give your ideas of other things that you could do to help you learn how to create some sort of passive income or a side hustle. And again to go back to it doesn’t have to be investing that’s just because you’re listening to us doesn’t mean hey I have a passion for clay and making clay pots and it could be anything. I we had a woman come to our restaurant last week that teaches painting classes and it was awesome he had 20 women there and she was showing him how to paint things it was it was cool and she does she goes around once or twice a month did different restaurants. It has people have people come in and get a few drinks have a couple appetizers and it’s the everybody sits around and has fun and painting it’s really cool so you can take any sort of passion that you have and you can parlay it into something else if you really want to. Andrew: yeah I agree hundred percent like those two book recommendations are I would put that at the top too both from entrepreneur standpoint and the past makeup standpoint and the Rich Dad Poor Dad I mean we’ve even talked about that for investing to get you with that owner mindset so yeah definitely. There’s so there’s so much opportunity out there that we still haven’t seen there’s so many different niches that you that you could really discover and be somebody who’s driving that and there’s way I like I’ll give one last example and then I guess we’ll wrap up. There a guy who like started doing Lyft or Uber and then kind of got the hang of it and then he started I think it was like a blog or something where he would teach basically he went through the process and then teach you how to become a driver yourself and got all these different tips and tricks. And so it probably just started with him just doing the Uber thing and then he figured out a way to monetize it on the grand scale by having a blog and getting a lot of people to follow him. And so you just never know how things can take off and if you can get into like businesses that are scalable I think those those really have the best potential for high amounts of passive income. But you have to start somewhere and hopefully this is like something that can open your eyes a bit and then taking the next steps towards some of the resources we recommended and it can it can really change your life and I think the possibilities now compared to even like 10-15 years ago I think there’s so many more possibilities. You go on YouTube and there’s all kinds of people showing their passions there’s makeup there’s your average girls who are doing makeup tutorials and kids who are doing gaming tutorials and just all just like every little thing you can think of there’s something out there. And so I think everybody has a certain skill that they’re that they’re born with or that they’re able to develop over time and I think if passive income and financial freedom being able to make money while you’re out at dinner or make money while you’re sleeping it’s such a cool idea and I think if you are the type of person who likes to be a go-getter and an action taker and you have everybody has a skill and everybody has talents and passions and I think that today is the time to capitalize on it and just give it a chance and see how it goes. I guess if I were talking to my previous self-that’s kind of what I would say just see where it goes have a goal minds. But be open to what the future will bring and you might be surprised if you grind it out long enough you can really make some big changes in your life. I mean I remember kind of like what you said Dave about not having hardly any anything my first my first newsletter subscriber was my mom yes she’s the only customer I have who’s been there yeah but I think she didn’t like I didn’t have a single customer for the first issue I sent out I believe. Yeah I think she’s subscribed the second issue I like wanted reading like an issue for the other and it’s and it’s been incredible how it’s how it’s transformed since then. I totally relate with not having the kind of results you want right away and it just speaks to having patience and and belief. Big basketball news today right so like believing in the process quote-unquote right and it has a lot of possibilities. Dave: yeah I totally agree. All right folks will that is going to wrap up our episode for this evening. I hope you enjoyed our discussion on passive income, it’s out there for you if you want it. It’s just a matter of finding what you want to do and finding some time to do it.